RESIDENTS have shown support for plans to transform Staple Hill Police station into housing designed to meet the needs of older people. The station, in Broad Street, is set to close in 2014 as part of a force-wide accommodation strategy after becoming an appointment only facility. Developers McCarthy & Stone revealed proposals to redevelop the site at a public exhibition on June 6. More than 1,000 surrounding homes and local businesses were invited to attend the event at Page Community Association. The plans include 43 one and two bedroom Later Living retirement apartments, communal facilities and landscaped gardens. McCarthy & Stone is also proposing to retain and enhance the listed police station building, converting it into five apartments. The Court House is not part of McCarthy & Stone’s development proposals but will be kept as a base for Avon and Somerset Police community support officers in the Staple Hill area. McCarthy and Stone believes the proposals would bring the site back into efficient use. The company says the majority of the feedback received showed support, in principle, for the redevelopment of the site for specialist housing for people in later life and that positive feedback indicates that residents feel it offers a good use of the site and is an excellent location for this form of housing. Shane Paull, McCarthy & Stone’s regional managing director, said: “It is our aim to transform this vacant site with a sensitive development, which will feature a high-quality design and complement the character of the surrounding area. 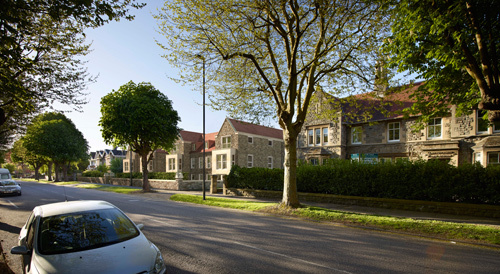 We believe this site is an ideal location to provide new and much needed accommodation for people in later life in Staple Hill. “The public exhibition was an excellent opportunity for us to understand the views of the local community and receive their feedback on the proposals. If you were unable to attend the exhibition you can visit the project’s website where you will have the opportunity to view the information displayed at the exhibition. Anyone with further questions can contact a freephone information line number on 0800 298 7040 or you can visit the website at www.mccarthyandstone-consultation.co.uk/staplehill.